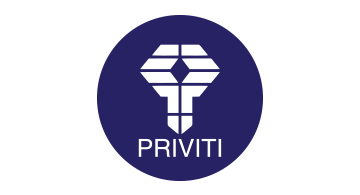 Priviti is an innovative trust-enabling technology company, whose communication system assures secure, on-demand and real-time authentication. Priviti is the latest technology solution to be brought to the market by De Barra Innovations, FinTech innovation thought-leaders, who pioneered VAT-refund systems and invented Automatic Dynamic Currency Conversion (ADCC). Priviti enables data to move securely. It provides strong customer authentication in a unique manner that is based on a patented ‘dual-channel’ authentication system, different from two-factor authentication, which makes it a powerful and exciting solution for Financial Services. Priviti is what's known as an agnostic solution, meaning that it can be deployed across a wide range of industries. In Financial Services, Priviti provides seamless, integrated transaction security, while enabling regulatory compliance for both PSD2 and the GDPR. Priviti is also being used in Identity and Access Management (IAM), enabling robust, functional digital identity solutions for governments and large organisations. Please engage with our team at Money2020 to discuss your organizations needs or our Partner programme. Priviti is part of London & Partners’ London Fintech Lounge at Money20/20 Las Vegas.